There's much worth doing in Chicago including many famous architectural sights. Of the 10 tallest buildings in the world, Chicago is home to two, Willis Tower and Trump International Hotel and Tower. 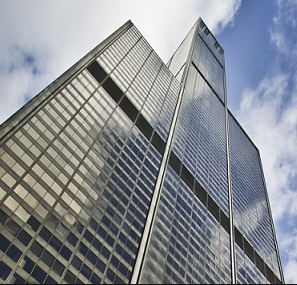 Willis Tower, formerly Sears Tower, is among the top 5 tallest buildings and is the 2nd tallest structure in the world. It's a bit of a wait to got to the top, but worth it. 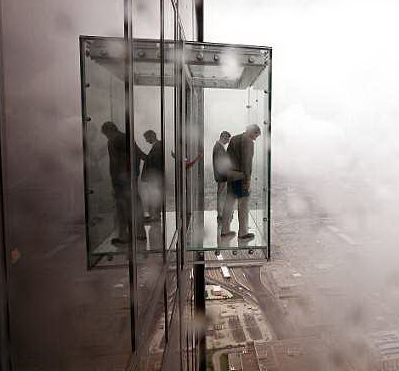 As if the viewing level, Skydeck, isn't enough of a thrill, there are Ledges - glass boxes extend 4.3 feet out from the Skydeck and 400 meters above the ground. The moment you attempt that first step onto the Ledge your instincts tell you this is not a good idea. It's very cool, and nerve racking all at once. Thankfully, not all Chicago's architectural and historical attractions are nerve racking! Navy Pier, pictured above is a very popular Chicago attractions, without the knuckle biting. That's Willis Tower skyrocketing upward in the background making many other tall buildings look miniscule. Wrigley Field, home of the Cubs, is a must see historic landmark for sports fans worldwide. And did you know, there are incredibly beautiful churches and Frank Lloyd Wright's home and studio (below) in the area? The list goes on - more worthy attractions than anyone can possibly see in single trip. So choose well or plan on coming back.